Villas in Crete. New villa with private pool near Chania. 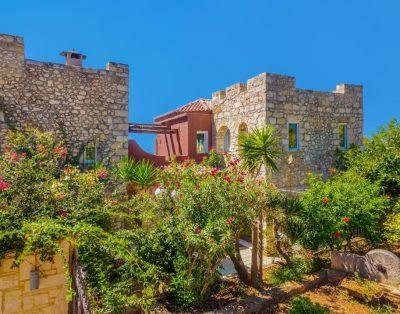 Villa Kronos is located in the picturesque village of Kokkino Chorio near Chania. Villa Kronos is one level 100sq.m villa situated in 1300sq.m land. It is a minimal style stone villa with a touch of luxury. 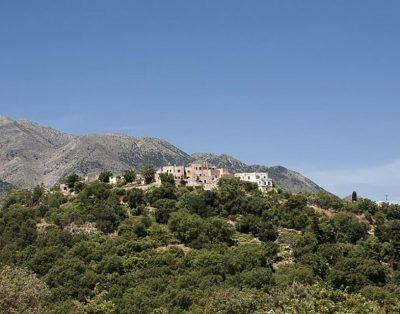 It combines nice views of the mountains and the breathtaking panoramic view of Souda bay and the olive groves. It offers a completely relaxing holiday from day to night. You can spend your day sitting outside having all those nice pictures in front of your eyes or you can enjoy a nice hydro-massage in the swimming pool or you may try the bbq by preparing a delicious lunch or dinner by the swimming pool overlooking the sea. And when the night comes you will experience the most restful sleep as the villa is equipped with Cocomat bed systems and mattresses made of natural eco-friendly materials, as our purpose is you to feel comfortable and relaxed in your holidays. The villa consists of two double bedrooms with en suite shower rooms and toilets, and a two single beds bedroom. There is a common bathroom with a Hamam room for two people and a shower unit. As you step outside in one meter is the 60sq.m swimming pool where you can enjoy a drink in the hydro-massage sitting area. 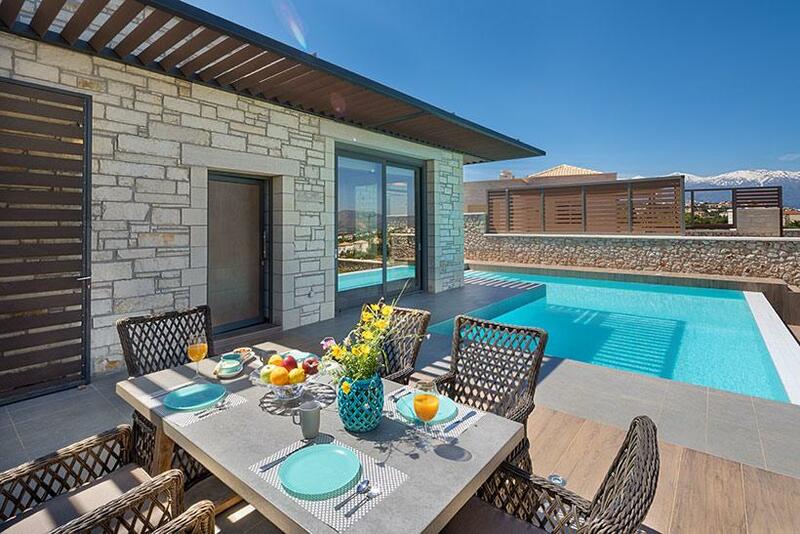 There is also a bbq and dinner table as well as a sitting area where you can listen to music or even read a book accompanied by the various natural sounds of Cretan countryside.